How do I identify a One Coworking member? What are the ways to verify One Coworking member? 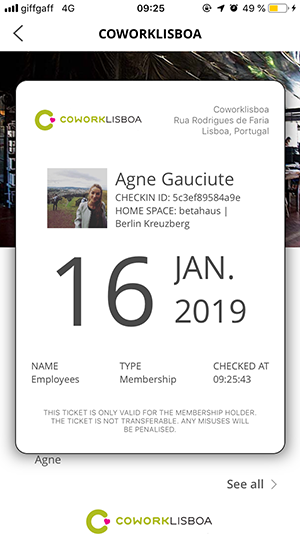 During the check-in, every incoming coworker will show you their ticket (example below) where you can see the origin space and further details about client’s coworking membership. In addition to that, all recent check-ins can be viewed on the Managers' Dashboard. If you don't have access to it yet, please contact help@onecoworking.com. You can find more information about the dashboard here.